Ana was born in Porto Alegre, in the south of Brazil, sometime between today and 500 years ago. She believes that the important thing in life is to be happy. Here and now. 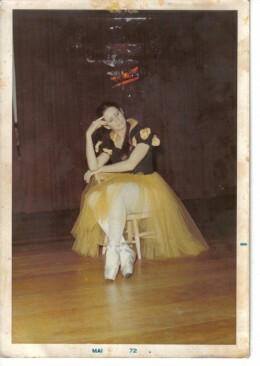 She was a ballet dancer when she was younger and believed she could fly. But it was not so easy, so she decided to stay firm down on the earth and became a teacher, choreographer, director and Reiki healer. Entre outras coisas (among other things) like poetry, her travels to places like São Paulo, Weimar and Kassel made her moving to Berlin and finally landing in DorkyPark.